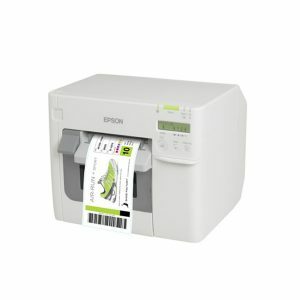 The high-speed Model Epson TM-C3500 is a high-quality colour label printer, designed to print a wide variety of labels in-house. With the TM-C3500, you can easily customise and print your own colour labels. Whether it’s printing packaging labels with colourful logos and pictures or tickets and ID cards with important barcodes and product information, this printer ensures you can print everything on one machine.